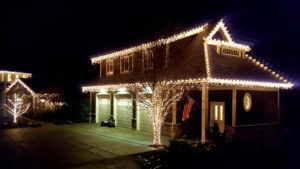 Holiday light installation service for Gig Harbor homes and businesses. Professional lights and timers. Perfect installations to your design. Show your Holiday Spirit without getting on a ladder. Huge inventory of options to choose from. Custom installation to meet your desired look. We replace bulbs and maintain your installation. We take down the lights and store them for you. We work with you to get your desired look at the right budget. Roof lines, roof hips, entry ways, around windows, driveways & paths, garage doors, mini lights on trees, to show Holiday Spirit your way. 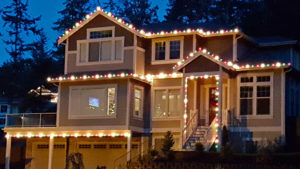 Decorate your Gig Harbor Home with professional installed Christmas Lights. Steve is responsible for making our house look beautiful and festive all through the holidays by installing outdoor lights on our (very tall) roof line. This is our second year for this service and we plan to contact him every year. Thanks, Steve! While enjoyable, the Christmas holiday can also be the most stressful time of the year. It’s easy to get burnt out and frustrated with so many small tasks on your plate. 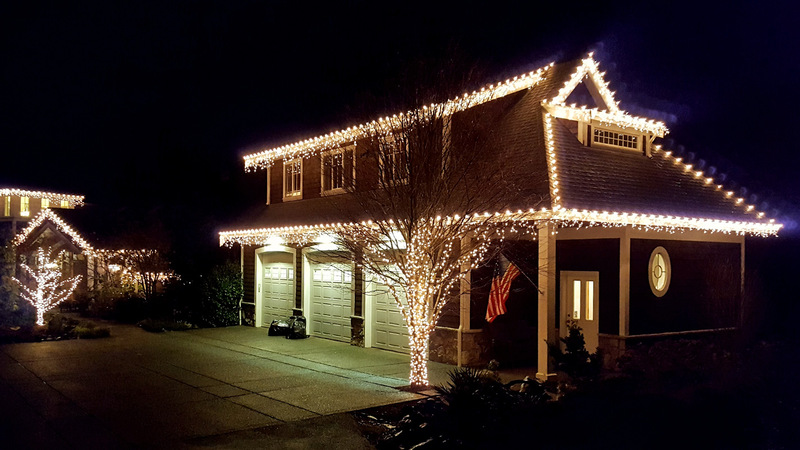 Give yourself a break and take off a little of the stress with a Gig Harbor Christmas lighting installation company that has a good maintenance plan. When it’s time for making gingerbread houses and enjoying hot cocoa, the last thing you want to worry about is a burnt out light bulb messing up your holiday décor. 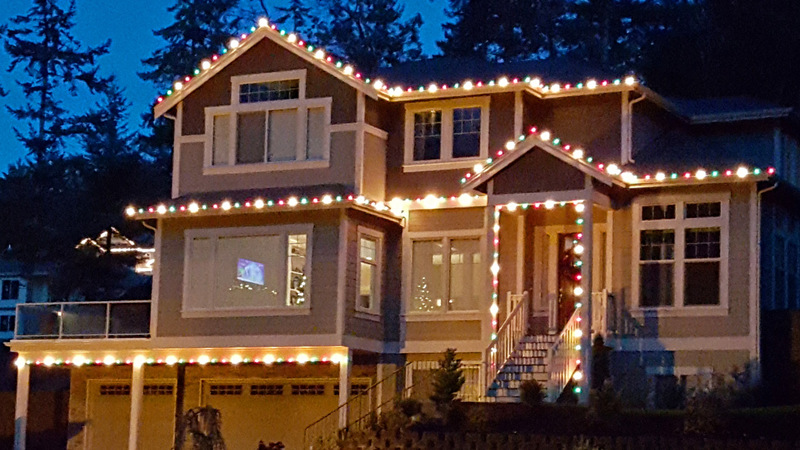 The professionals at Clean and Clear will help you through the decorating process from start to finish so your Gig Harbor home and yard are as ready for Christmas as you are. What kind of supplies does the company you’re considering use? 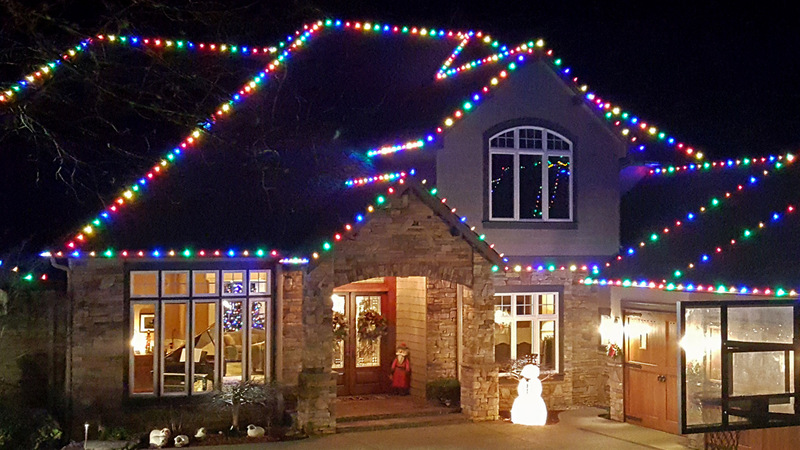 The right holiday light installation company will have high-quality, professional grade lights to give your home the best look possible. These superior lights not only look better and brighter than regular lights from the local store, but they will last longer too. They are sealed better and have more protection around the wiring, which helps prevent wear and tear. Don’t skimp on your yard decorations either. You want to make sure the Gig Harbor company provides you with supplies that will last long and survive through the winter weather. What kind of warranty does the company offer? You don’t want to be left high and dry with faulty lights or a slap-shod job, wih no promise from the company of them making it right. Make sure you’re covered with a guarantee that will ensure you get the most out of your money. At Clean & Clear you can rest easy as we guarantee all our work. Does the company have liability insurance? If an accident happens and the company hanging your lights isn’t covered, you could end up stuck with the bill. 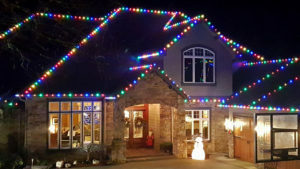 Finding a professional Gig Harbor Christmas light install company with liability insurance is a must to ensure your experience is smooth and stress free. Will the company be there when you need them? 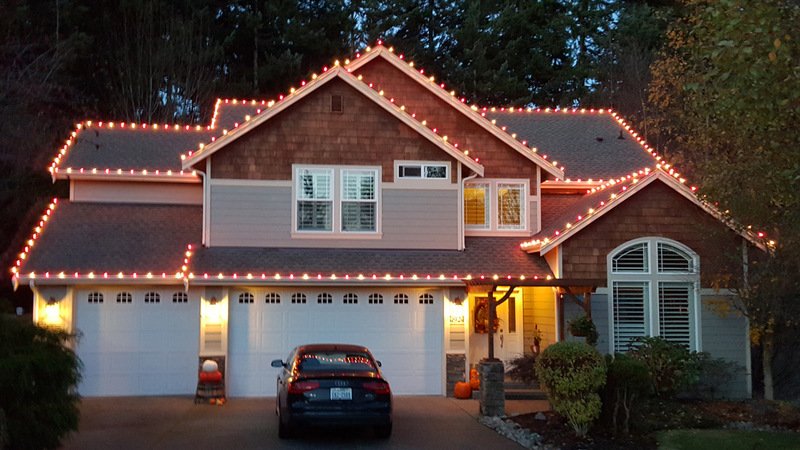 Finding a company with a good holiday lighting maintenance plan in Gig Harbor can be tricky, but not when you’re dealing with the professionals at Clean & Clear. If a bulb burns out, just make a quick call and things will be taken care of in no time. Bulb replacement and maintenance is free with the customized lighting package, so you don’t have to worry about a thing. Focus on what’s really important to you during the holidays instead of being nickel and dimed to death with all the little things. What experience does the company have, and what about their reputation? Check online reviews on reliable third-party websites like Angie’s List to find a company with good customer feedback. If customers have been happy in the past, chances are you’ll be happy with their service too. You want someone with the experience to get the job done quickly, efficiently, and without getting hurt. All the professionals at Clean & Clear have ample experience working on ladders. They have a history of happy customers in Gig Harbor and they know the best ways to minimize risk. Will the company help you remove the lights at the end of the season? 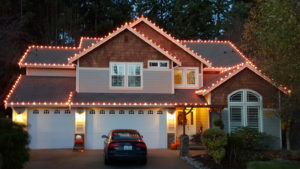 The best holiday lighting installers will have your back from start to finish. The installers at Clean & Clear also offer take-down services and free bins to store your lights in until next year. With lights fitted and cut to match your home, it’s important to keep them in good condition and not tangled up in a heap in the attic. With the right professionals in Gig Harbor you can help keep yourself from being overwhelmed all while keeping your home and yard looking great!